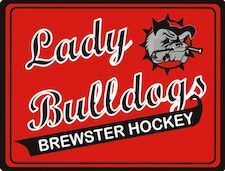 Connecticut Girls Hockey League - Welcome! 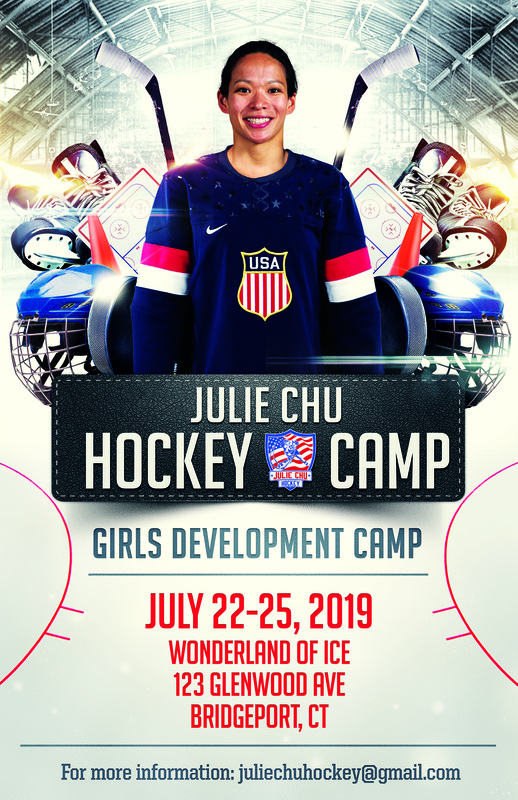 Formed in 2005, the CGHL is Connecticut’s 1st (and only) youth hockey league devoted exclusively to girls! 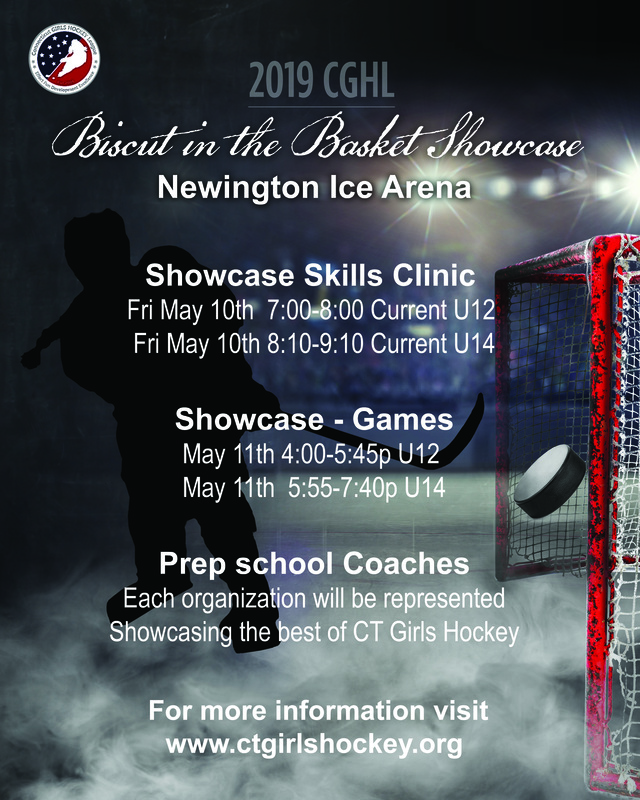 Our league’s teams reside at CGHL member programs throughout Connecticut and near our neighboring states’ borders. The CGHL’s dedicated volunteers bring girls of all ages great opportunities to try and to grow with hockey on all girls’ teams. Whether a complete beginner or a seasoned veteran, chances are there's a local CGHL member Program close by that has a spot for you! 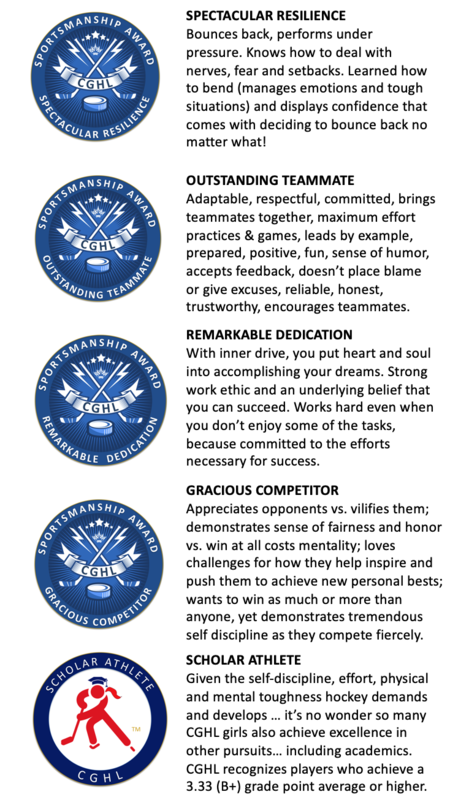 CGHL values development, fun, effort, teamwork and excellence. We love hockey for the greater confidence, resilience, determination and strength it helps develop! Since our beginning, we have been proud that so many of the local Programs that make up the CGHL spectacularly demonstrate values articulated by the Positive Coaching Alliance and USA Hockey’s American Development Model (“ADM”). Non-profit 501(c)(3) tax exempt charitable organization.